For over 26 years, Rental City has been serving New Jersey, Pennsylvania, and Delaware with quality service. Choose us for your next event! We are a well-established special event and tent rental company that supplies exceptional rental equipment and accessories. We've been here for over 30 years! Our location allows us to be readily available for last minute changes or special needs that you may have. 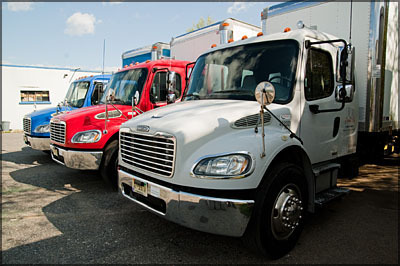 All of our trucks are outfitted with GPS tracking system which keeps us current where all of our trucks so we are operating most efficiently. We are fully insured up to $1,000,000 (million) dollars and our employees are randomly drug/alcohol tested to assure a safe work environment and for our customers' peace of mind.